Some people tell me that they are scandalized because they see many things wrong in the Church. I tell them that if you ask a fly, “Are there any flowers in this area?” it will say, “I don’t know about flowers, but over there in that heap of rubbish you can find all the filth you want.” And it will go on to list all the unclean things it has been to. Now, if you ask a honeybee, “Have you seen any unclean things in this area?” it will reply, “Unclean things? No, I have not seen any; the place here is full of the most fragrant flowers.” And it will go on to name all the flowers of the garden or the meadow. You see, the fly only knows where the unclean things are, while the honeybee knows where the beautiful iris or hyacinth is. As I have come to understand, some people resemble the honeybee and some resemble the fly. Those who resemble the fly seek to find evil in every circumstance and are preoccupied with it; they see no good anywhere. But those who resemble the honeybee only see the good in everything they see. The stupid person thinks stupidly and takes everything in the wrong way, whereas the person who has good thoughts, no matter what he sees, no matter what you tell him, maintains a positive and good thought. This entry was posted in St. Paisios of Mount Athos on September 19, 2015 by . St. Paisios: Grumbling is caused by misery and it can be put aside by . . . Grumbling is caused by misery and it can be put aside by doxology (giving praise). Grumbling begets grumbling and doxology begets doxology. when someone doesn’t grumble over a problem troubling him, but rather praises God, then the devil gets frustrated and goes off to someone else who grumbles, in order to cause everything to go even worse for him. You see, the more one grumbles, the more one falls into ruin. Sometimes the devil deceives us and makes us unable to be pleased with anything; however, one can celebrate all things in a spiritual manner, with doxology, and secure God’s constant blessing. This entry was posted in Sayings from Saints, Elders, and Fathers, St. Paisios of Mount Athos and tagged Blessings, Complaining, Deceivers, Deception, Falling Down Getting Up, Misery, Murmuring, Praise, Thanksgiving, The Evil One, Unhappiness on August 17, 2015 by . Elder Paisios: When your children are still small . . . This entry was posted in Sayings from Saints, Elders, and Fathers, St. Paisios of Mount Athos and tagged Children, Purpose of Life, Raising Orthodox Children on July 18, 2014 by . Elder Paisios: Struggle with all your power to gain Paradise. . . .
Struggle with all your power to gain Paradise. And do not listen to those who say that everyone will be saved. This is trap of Satan so that we won’t struggle. This entry was posted in Sayings from Saints, Elders, and Fathers, St. Paisios of Mount Athos and tagged Falling Down Getting Up, Kingdom of Heaven, Paradise, Suffering, The Evil One, Universalism on March 28, 2014 by . Elder Paisios: What I see around me would drive me insane . . . This entry was posted in Sayings from Saints, Elders, and Fathers, St. Paisios of Mount Athos and tagged Awareness of God, Belief in God, End of the World, Insanity on August 6, 2013 by . Elder Paisios of Mount Athos: Give thanks to God for everything . . . 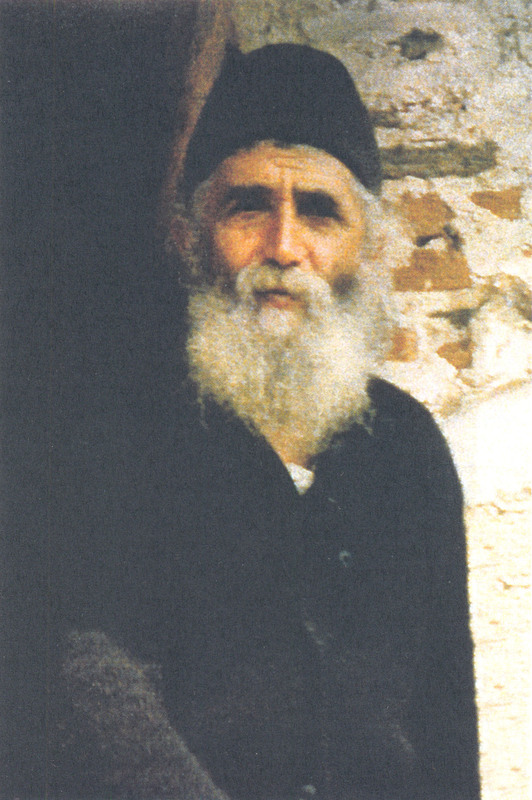 This entry was posted in Sayings from Saints, Elders, and Fathers, St. Paisios of Mount Athos and tagged Conquering Evil, Enemies, Evil, Fear, Intercession of the Saints, Kindness, Living Orthodoxy, Love, Persecution, Russia, Saints, Spiritual Life, Spiritual Warfare, Suffering, Thanksgiving, The Church, War on July 18, 2013 by . Elder Paisios of Mt. Athos: The devil does not hunt after . . . This entry was posted in Sayings from Saints, Elders, and Fathers, St. Paisios of Mount Athos and tagged Awareness of God, Criticism, Logic/Logical Mind & Thinking, Self-Reliance, The Evil One, Trust on July 11, 2013 by .